There’s no better way to top off a nice long walk with the dogs than with a delicious treat. No, I’m not talking about human treats (although you certainly deserve one, too). I’m talking about dog treats. There’s something rewarding about baking your own dog treats. Maybe it’s the love you put into it, or maybe it’s the fact that you know what you’re putting into your pup’s food. Either way, your fur kids will appreciate the effort. And these three recipes are so easy to make, even us busy moms can fit them into our schedule (if we can get through the shopping trip with our sanity in check). Bacon and liver – two of your dog’s favorite things. All dogs need a healthy portion of organs in their diet, and liver is one of the most nutritious. These baked treats are so easy to make, and no one will mind if you sneak a slice or two of bacon for yourself. They’re a healthier option for Fido, too. Cook bacon over medium heat for five minutes, or until crispy. Remove the bacon from the pan, and drain on paper towels. Reserve one tablespoon of bacon fat, and pour out the rest. Add the liver, and use the side of a spoon to mush it up. Cook for a few minutes, and remove from pan to cool. Place the liver and bacon in a food processor, and pulse twice. Add ground flax seed, and pulse until the mixture becomes coarse. Add the chicken stock slowly, mixing to incorporate. Add the flour a little at a time, mixing continuously. Roll out the dough to about an inch thick. Cut into your desired shapes (dog bones are fun). Place pieces a 1/2-inch apart on parchment-lined baking sheets. Bake until the treats are completely dry (about an hour). Feel free to swap out the whole wheat flour for any dog-friendly flour you please. I’ve also made these treats using a bread maker, and made them in into a loaf instead of individual treats. You’ll need to adjust the flour ratio and add some baking powder for a little lift. Our dogs go crazy for pumpkin cookies, and I don’t mind making them because they’re a healthier treat for my fur babies. 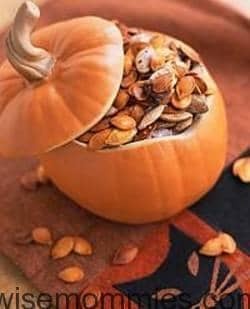 Pumpkin is loaded with fiber and nutrients that dogs need, like magnesium, iron, vitamins A and C, and potassium. Dogs love the taste, too. These treats are quick and easy to make, and one batch yields about 20 cookies. Using a stand mixer, mix the pumpkin, coconut oil and eggs together. Note: Use room-temperature ingredients to keep the coconut oil from solidifying. Add the flour, and continue mixing until a dough forms. Add water if necessary to make the dough more workable. This dough should be a little stiff and crumbly. Roll the dough out to 1/2″ thickness. Place treats 1″ apart on parchment paper lined baking sheets. Bake for 20 minutes. Flip the treats over, and bake for another 20 minutes. These treats are a hit with most dogs. Ours will do any trick in the book just to get their paws on one of these cookies. And if you have the time, why not bake yourself some pumpkin spice latte muffins, too? Of all the human food in our fridge, our dogs love blueberries the most. Okay, bacon may be just a little higher on their “gimmie” list, but they love a good handful of this nutritious berry – especially after a long walk. These treats are the perfect mix of savory and sweet, and they include wholesome, dog-friendly ingredients. Preheat to the oven to 350F. Cook the bacon slices over medium heat until crispy. Drain on a paper towel, and set aside. Place the blueberries and bacon in a food processor, and process until well combined. Add water if necessary to create a semi-smooth batter. Transfer mixture to a large mixing bowl. Add the flour and oats in slowly, mixing with your hands until a dough forms. Dump the dough out onto a lightly-floured surface. Roll out to 1/2″ thickness, and use cookie cutters to cut out your cookies. Brush the tops of the cookies with the beaten egg mixture. Bake for about 25 minutes, or until the cookies are crisp and golden brown. If your dogs aren’t fans of blueberries, you can use grated carrots or applesauce in place of the berries. 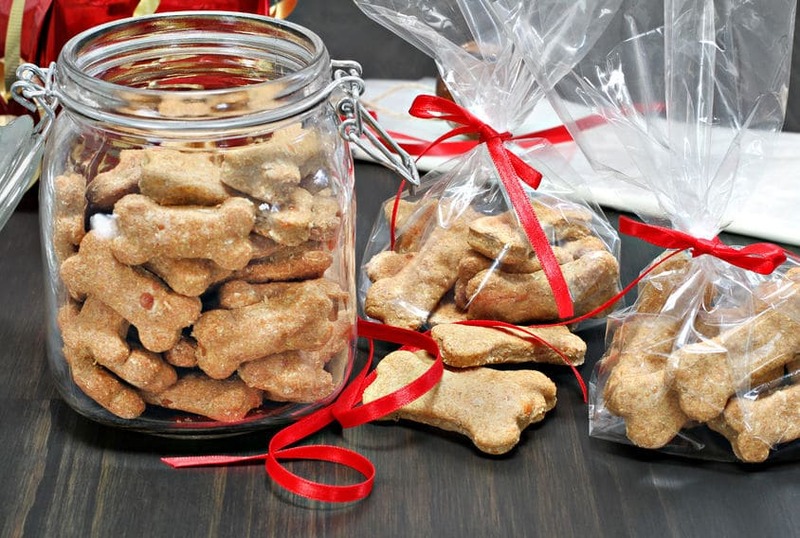 Do you bake your own dog treats? Share your recipe in the comments! 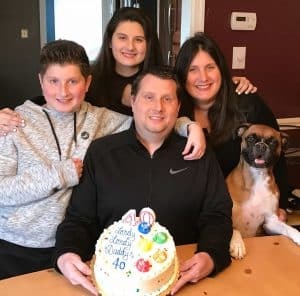 Joe Hughes, known by most as the Village Baker, is an expert in homestyle cooking techniques, with a primary interest in baking. Love the pumpkin one! I used to make something similar for my pups. Do you have an alternative to wheat flour for pups that might be wheat/corn/soy sensitive?